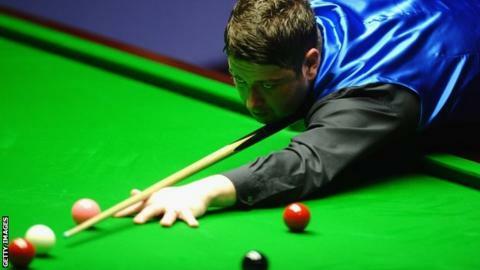 Matthew Stevens defeated Neil Robertson in the semi-final of the Haikou World Open in China to reach his first ranking final since November 2008. Stevens, 35, beat the Australian 6-5 and will play 2012 champion Mark Allen in the final after he won 6-2 against John Higgins in the other semi-final. Robertson held a 5-4 advantage but Stevens won the last two frames to claim the victory. The Welshman has only won one ranking event - the 2003 UK Championship. His progress at the World Open has come despite having to play his first two matches with borrowed cues after his luggage was lost en route to China. Stevens, ranked 13th in the world, beat David Gilbert and former world champion Shaun Murphy in the opening two rounds before his own cue finally arrived. Victories over world number one Judd Trump in the quarter-final and world number three Robertson have now taken Stevens into his first final since he lost 9-7 to Robertson in the final of the 2008 Bahrain Championship. "It's my first final in China and that's a great feeling as we've got a lot of tournaments here," said Stevens. "I'll be second favourite in the final, but it's just a bonus to still be here after what happened to my cue." Higgins had won his last two matches by a 5-0 margin but the Scotsman failed to score a point in five frames as Allen, the world number nine, made breaks of 119, 56, 81 and 76 to reach his first ranking final of the season. Northern Ireland's Allen, 27, won the only ranking title of his career at the World Open last year when he thrashed Stephen Lee 10-1 in the final.